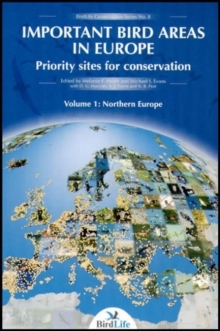 Updated and extended, this book provides comprehensive coverage of the 3,619 most important sites for bird conservation in 51 European countries, equivalent to seven percent of the continent's land area. Each country's entry is the work of one to three local experts. 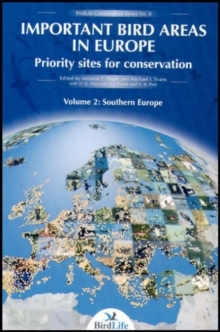 Key species, habitats and conservation issues are discussed for every site, with thumbnail location maps. Hundreds of graphics, maps and data tables show key information at national and regional levels. 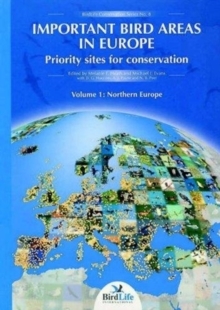 An essential guide for policy-makers and developers, conservationists and environmental consultants, and a call for action to national governments, who have left 40 percent of these sites with no legal protection. "A tremendous source of valuable data" - Ibis. "Of the highest value for conservation in general" - British Birds. "Raises the bar very high for the rest of us" - The Condor. "A working document, to be used by conservationists on a local, national and international level to save these special places from destruction" - BBC Wildlife.